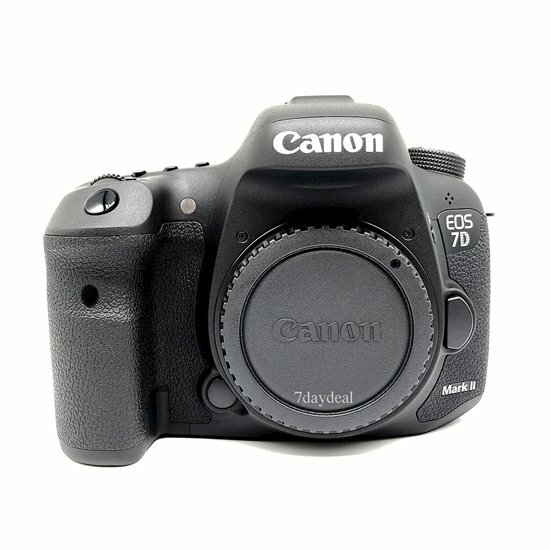 Designed with a penchant for speed, the EOS 7d mark ii DSLR camera from Canon is characterized by its aps-c-sized 20.2mp CMOS sensor, dual Digic 6 image processors, and a top continuous shooting rate of 10 fps. Both a 65-point all cross-type phase-detection AF system and dual pixel CMOS AF technology benEFit fast, accurate focusing performance for both optical viewfinder and live view shooting. Additionally, the combination of the dual image processors along with the CMOS sensor also contribute to enhanced low-light sensitivity to a native ISO 16000, which is further expandable to ISO 51200. The 7d mark ii comfortably performs in a range of challenging situations, and while ideally situated as a tool for sports and wildlife photographers, it resides equally as well in the hands of contemporary multimedia image-makers.